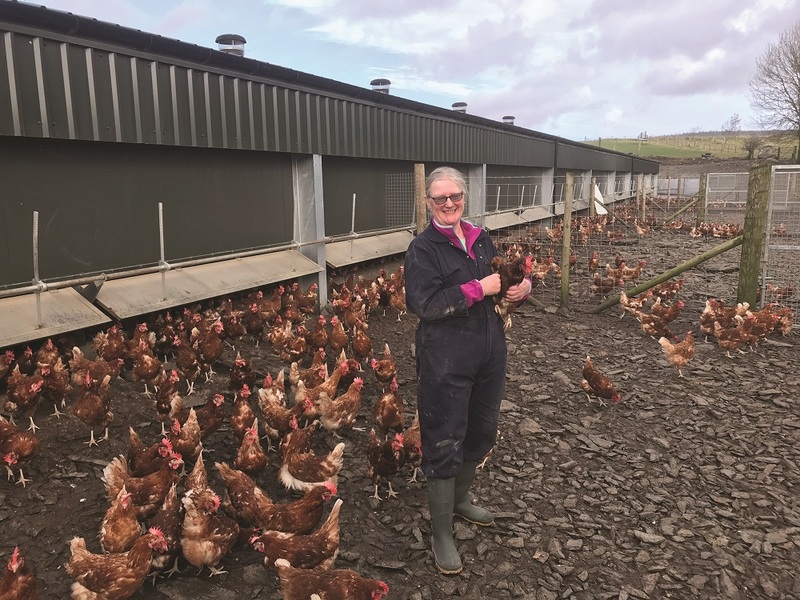 So, when her neighbour and egg producer approached her in 2015 about taking a stockperson role on the 16,000-bird free-range egg laying unit that he was planning to build, she thought ‘why not?’ “I fancied a change and the job sounded varied, interested, rewarding and relatively low stress,” she says. Her employer, Llyr Jones, who owns and manages Derwydd Cyf, the free-range egg unit based near Corwen, told the competition judges that he was impressed at how quickly and well Lyn adapted to her new role of running the laying unit on a daily basis. “She takes full responsibility for the unit and her attention to detail is exemplarily. She has undergone a very steep learning curve but has handled it extremely well, and this has allowed me to concentrate on other aspects of my farming business in the knowledge that the welfare and production of the unit is in her capable hands of Lyn,” he says. Jones adds that he actually approached Lyn to run his laying unit before he approached the bank for investment. “It was vital to have the best staff possible because this was a high investment project for me and it needed to give the required financial return to succeed. Producing eggs for Tesco through Anglia Free Range Egg Packer, the unit was established in January 2017 on a green-field site on an upland beef and sheep farm that had no experience of poultry farming before. The building is a multi-tier aviary system, which also has solar and ground source electricity, as well as heat energy systems. “I do go back every evening,” says Lyn, “just to check the girls have settled for the evening and are safely roosting for the night. It is surprising how often you will come across hens that may have become trapped or ‘compromised’ in different parts of the system, such as the nest boxes. You can then deal with this before any long-term problem occurs for the hen.